Synopsis :- "The progenitor virus is growing stronger every day. The nature of close quarter environments means that the virus can spread extremely quickly from hosts to host. This is why we need eager ZI recruits. 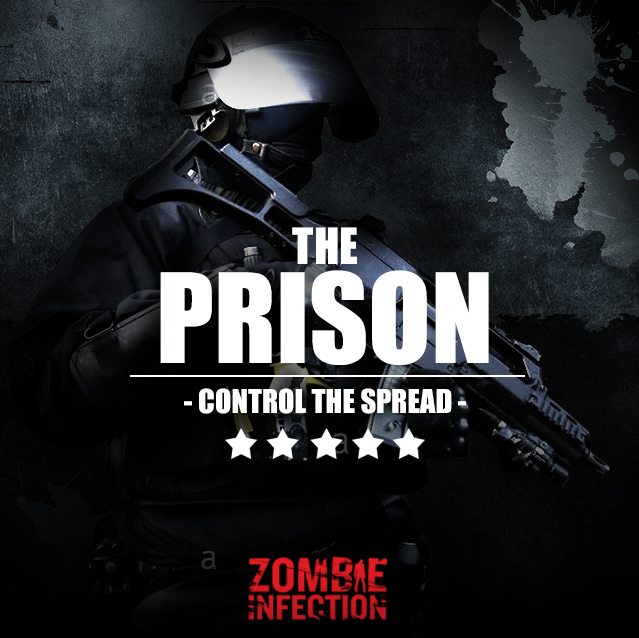 The prison has been over run with the progenitor virus and with the surrounding areas at risk due to the sheer numbers of infected at this location, time is of the essence so get signed up. The prison's landscape consists of 3 prisoner blocks each containing vast numbers of inmates now extremely infectious. You and your teams must navigate these areas in your squads making sure each and every infected is neutralized. You'll have your work cut out as the buildings may be locked and in complete darkness, you'll have only your weapon, a torch and your training to guide you! This location is not to be missed and provides the ultimate challenge for a zombie hunting professional. With a location thats full of character and multiple environments to explore you'll have a fantastic 3 hours hunting the undead! Please note this is 18+ only, late arrivals or guest arriving intoxicated may be refused entry. Eye protection will be provided for your protection and must be worn at all times.